Robert L. Schwartz has been practicing law for over 35 years, specializing in domestic relations. He is a member of the American, Arizona and Maricopa County Bar Associations. He is admitted to practice in the federal courts of New York, Arizona, Ninth Circuit Court of Appeals, and the U.S. Supreme Court. Mr. Schwartz is a fellow of the American Academy of Matrimonial Lawyers and former president of the Arizona chapter. He serves as a judge pro tem for the Superior Court of Maricopa County in domestic relations and criminal matters. He is a certified family law specialist by the State Bar of Arizona; is a frequent lecturer on family law and related matters; and was the co-chairman of the State Bar Family Law Advisory Commission. Mr. Schwartz was a member of the Arizona Supreme Court Committee on Rules of Procedure for Family Law. Mr. Schwartz has been previously listed and is currently listed in the publication "Best Lawyers in America" in the areas of family practice and mediation. 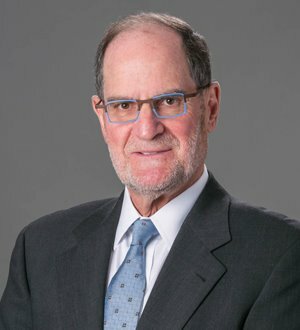 Mr. Schwartz is a shareholder in the law firm of Dickinson Wright PLLC and is the head of the Family Law Practices Group. He received his B.A. from the University of Miami, Coral Gables, Florida and J.D. from Brooklyn Law Schools. Roberts L. Schwartz has been named as one of the Best Lawyers in America for each year consecutively since 1999. In addition to being named as Lawyer of the Year in Family Law for 2010 by Best Lawyers in America, Mr. Schwartz has also been selected as one of the Top 50 Lawyers in Arizona by Super Lawyers.